Tuscany is a beautiful Italian region known for its landscapes, wines and historical legacy. In a previous post I described my impressions of Florence, the regional capital. At the end of April 2018, I was also fortunate to visit two other beautiful Tuscan cities, Siena and Pisa, which make the topic of this post. 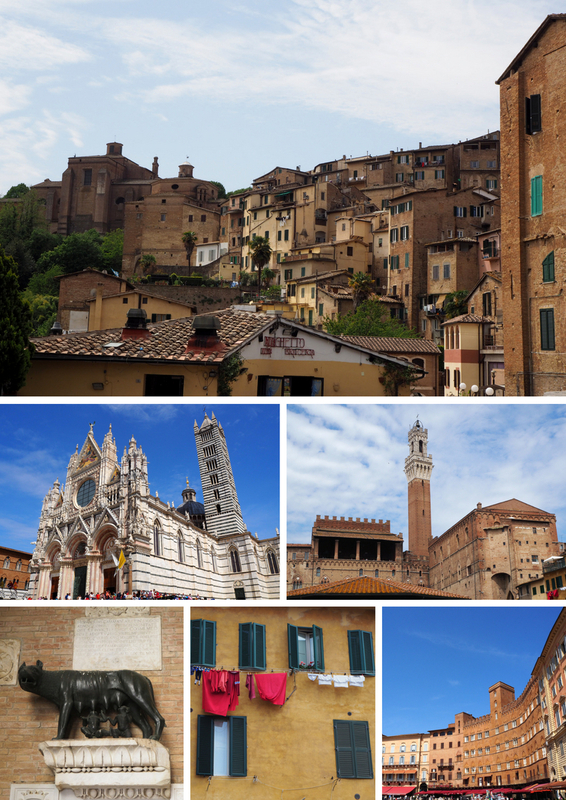 My girlfriend and I spent one day visiting the historical centre of Siena. Compared to Florence, Siena is less touristy and more compact. For several hours we walked around and enjoyed the city’s narrow streets and beautiful gothic architecture. There is something that makes Siena authentically medieval, yet grounded in the present time. It’s a beautiful city and a wonderful escapade in Tuscany. I highly recommend climbing the Mangia Tower (Torre del Mangia) to witness a gorgeous 360 view of Siena. The tower is standing tall at the edge of the large square of Piazza del Campo, so you won’t be able to miss it. It’s here where you’ll realise why Siena is the embodiment of a medieval city and a UNESCO World Heritage site. Like most people, I’ve heard of the famous Leaning Tower of Pisa. So naturally I was intrigued and wanted to see it with my own eyes. Pictures don’t make it justice – the tilt is significant and one has to wonder how the hell is it still standing up?! The tower’s construction began in 1173, but after five years it started leaning to one side. The reason was later discovered 40 meters under the surface – an unstable mix of sand and clay. The construction was then halted for almost a century, while Pisa was engaged in local wars. This was actually a fortunate turn of events for the tower, as the long period of time allowed for the underlying soil to partially settle. Construction resumed in 1272, but soon thereafter it was stopped once again due to wars for another century. The tower was finally completed in 1372. Over the next six centuries, the tower started leaning more and more. Fearing that it might actually flip over, major engineering works were conducted between 1990 and 2001. 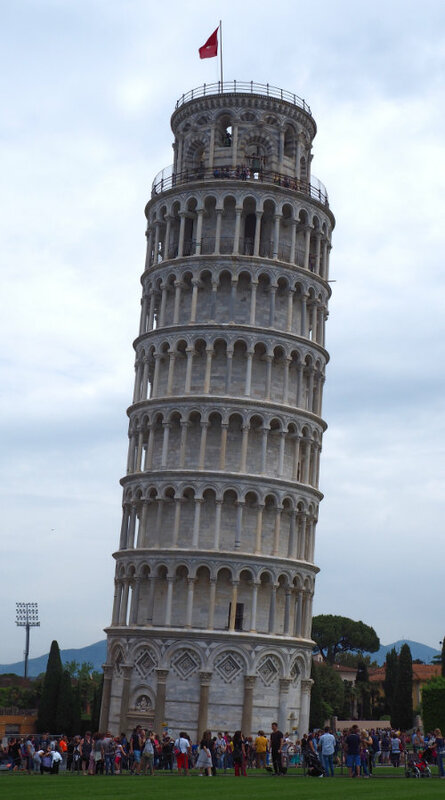 In 2013 it was measured that the tower has lost 2.5 centimeter of it’s famous lean. One should not be worried however, the tower is still way off its central axis and continues to be a selfies magnet. As a side note, it’s not a secret that I like gelato and it was here in Pisa where I had the best ice cream of my short Tuscan break. The reasonably priced Il Gelato Di Toto should not to be missed! In my post on Florence, I give several practical tips that apply to Siena and Pisa as well, so check it out if you haven’t had the chance. As a bonus, there are plenty of pictures included! Florence, Siena and Pisa have left a very positive impression on me. With a captivating architecture, fascinating history and delicious cuisine, my job is easy – I highly recommend these three cities to fellow tourists out there.